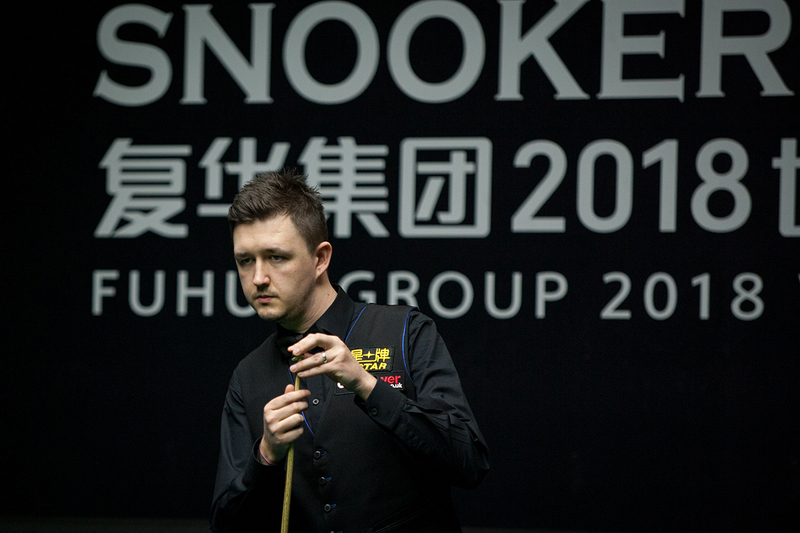 Kyren Wilson came from 4-0 down to beat Jack Lisowski 6-5 and reach the semi-finals of the Fuhua Group China Open. The result was good news for Mark Allen as he is now assured of a place in the final stages of the Betfred World Championship later this month. Lisowski could have jumped into the top 16 by going all the way to the £225,000 top prize in Beijing, but instead he must win three qualifying matches next week to earn a Crucible spot (to see how the draw is shaping up click here). World number ten Wilson is into his third ranking semi-final of the season and will face Mark Selby on Saturday. On the two previous occasions, at the English Open and Yushan World Open, he reached the final before losing to Ronnie O’Sullivan and Ding Junhui respectively. The Kettering cueman was also runner-up to Mark Allen at the Masters and continues to chase his first title since the 2015 Shanghai Masters. Lisowski could have ensured his biggest career pay day with victory today; the £45,000 on offer for the semi-finals surpassing the £32,000 he earned for reaching the same stage of the Shanghai Masters. And the 26-year-old looked on course to achieve that when he won the first four frames with top breaks of 80, 101 and 55. Wilson stormed back after the interval with runs of 80, 105, 80 and 51 to make it 4-4. Lisowski won the ninth with a 52 clearance and had chances in the tenth, but 26-year-old Wilson took it on the colours to set up the decider. First opportunity went to Lisowski but he ran out of position on 16, and when he later missed a tough long red he left Wilson in to make 64. There was one more chance for Lisowski but he missed a tricky black to a centre pocket and his opponent finished the job. “My game has been consistent this season, I have been practising really hard and I believe in what I can do,” said Wilson. “I have played well in every match so far but I know I’ll need to get off to a good start tomorrow against Mark Selby. I will really enjoy the match. 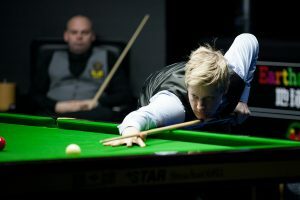 Neil Robertson stormed into the last four with a 6-0 thrashing of Stuart Bingham. World number 12 Robertson missed the Masters earlier this year after briefly dropping out of the top 16, but now looks close to his best form. A battle of two former World Champions was dominated by Australia’s Robertson as breaks of 92, 143, 80, 73, 62 and 86 saw him set up a meeting with Barry Hawkins.